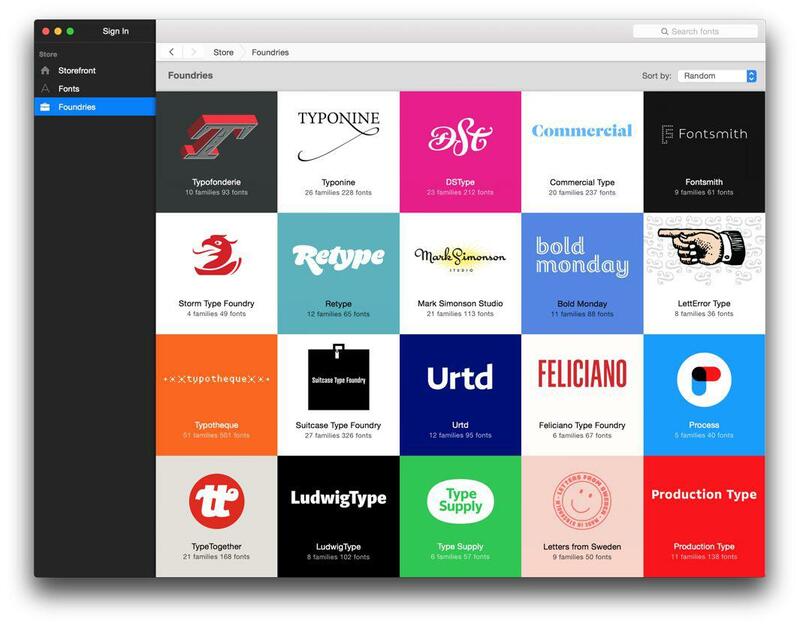 Fontstand wants to be the iTunes for fonts by renting thousands of typefaces at a fraction of the purchase price. Some of the type foundries whose fonts are available to rent on Fontstand. The cost of buying multiple fonts can be prohibitive for designers and type nerds. 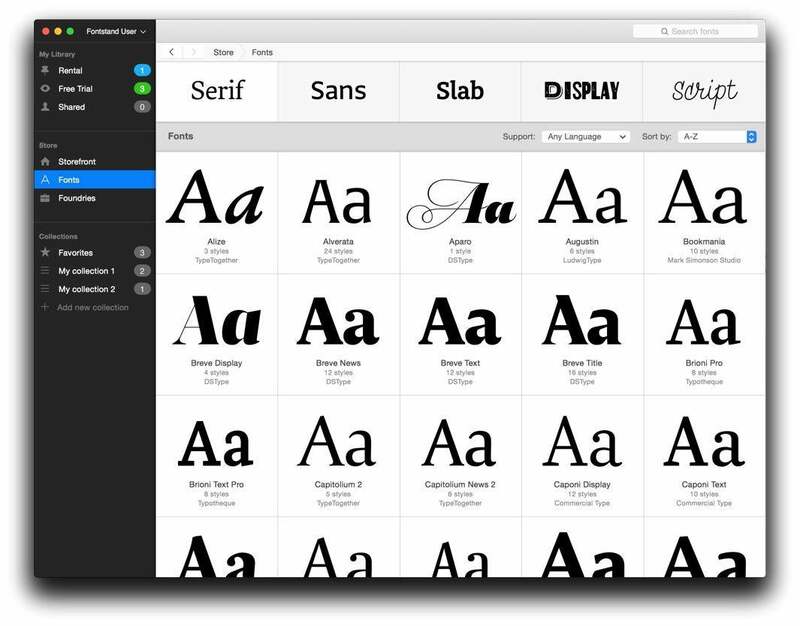 Launching on Friday, Netherlands-based Fontstand from independent type designers Peter Biľak (who is also the editor of Works That Work magazine), Andrej Krátky, and Ondrej Jób is a new service that says it wants to be the iTunes for fonts. 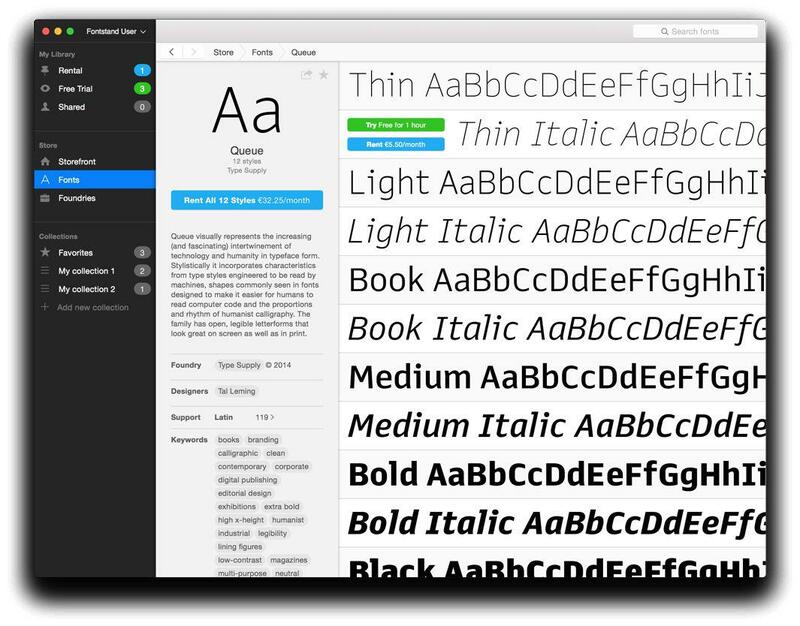 Fontstand has created a Mac OS X app that allows users to test-drive thousands of fonts from 20 international type foundries and independent designers for an hour at no charge. Fonts can then be rented for 30-day periods at 10 percent of the purchase price, with no location-based restrictions. It’s a novel idea for design students, professional designers, or anyone on a short deadline who might want to use a particular font for a one-time project, as traditional licensing models require users to pay for a full license regardless of usage. The designers point out that designing complex families of type is time-consuming, meticulous work. Free fonts may be widely available on the Web, but they “lack the features that make professionally developed type more versatile, more useful (and more expensive),” they said. For example, professional font designers spend countless hours kerning a font—adjusting the spacing of individual letter combinations—so that it reads smoothly. Most free fonts provide only a basic character set that lacks foreign language and currency symbols, superscript and subscript numerals, small caps, ligatures, and other characters required for more complex design work. It’s important to note that Fontstand fonts are not licensed for website display, so use is restricted to correspondence, invitations, posters, and other nondigital projects.